Rare model in Stonegate/Park Guell w/over-sized 1.5 Car Garage. Owner has direct access to condo through private garage entrance - No need to cross parking lot to detached garage, Super clean! Brand new carpet. Spacious floor plan w/kitchen overlooking dining & family room. Updated stainless steel Maytag appliances. Light cherry kitchen cabinets w/large island & additional storage. Under cabinet lighting. Real wood kitchen floor. Computer nook. Cozy fireplace. Private deck for entertaining or relaxing. Includes Washer/Dryer. The large master bedroom w/large en suite, double sink & walk-in closet provides plenty of space. Unit includes ceiling fans & new light fixtures. Steps from pool. Quiet internal location. Extra parking space outside garage makes parking 2 cars easy. Lower HOA Dues than neighboring Highlands Community! 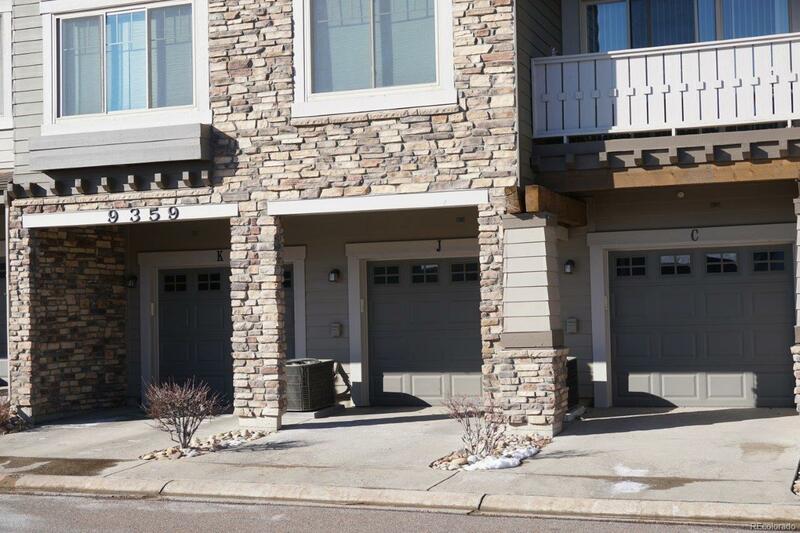 Easy access via Lincoln, Chambers, Jordan Or E-470, Close to Tech Center & Meridian. Offered by Mb Metro Brokers - Door2denver.